The Mercedes-Benz is a natural born muse, and here are the times it inspired artists to create masterpieces. 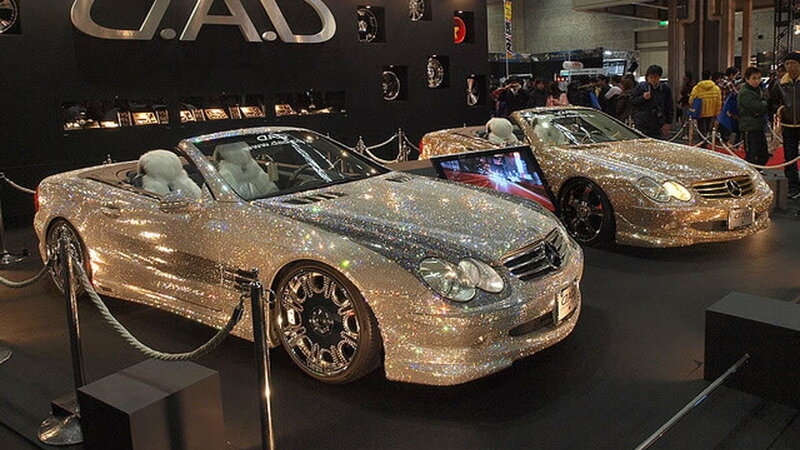 Shown during the Tokyo auto show are these two Mercedes-Benz covered in Swarovski crystals. Garson, a car accessory company, fitted 300,000 crystals shaped like diamonds onto these two SL600s: one gold and one silver. The 4.8 million car was rumored to belong to Prince Alwaleed Bin Talal, but since been denied by his private office and called an urban legend. >>Join the conversation about Mercedes Benz art cars right here in the forum. While not driveable like the bling-bling before it, it is a life-sized replica of a Mercedes-Benz that weighs 6.5 tons and costs 600,000 Yuan. Chinese artist Dai Yun was commissioned to build a sculpture for the Red Town Creative Park in Shanghai. 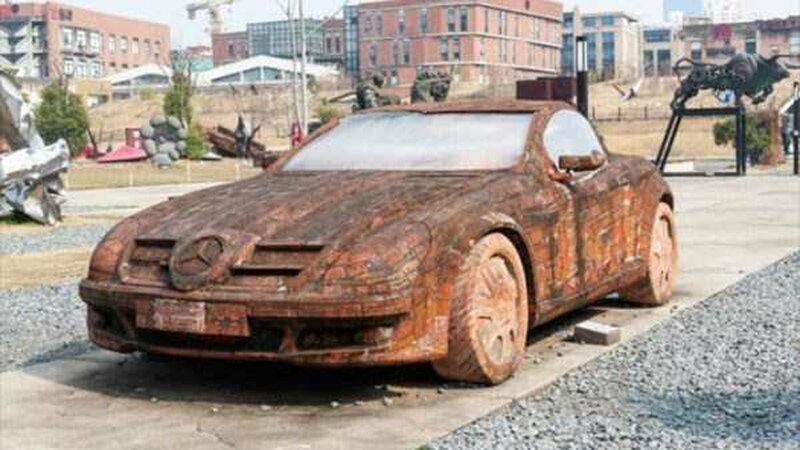 Using only a photograph, he was able to make the car out of bricks, cement and steel. Even the interior is well-detailed, which you can sit in. The 1955 Mercedes 300 SLR was never mass-produced because it was simply too fast. The car was tested to go up to 180 mph, which would have been the fastest car at the time. 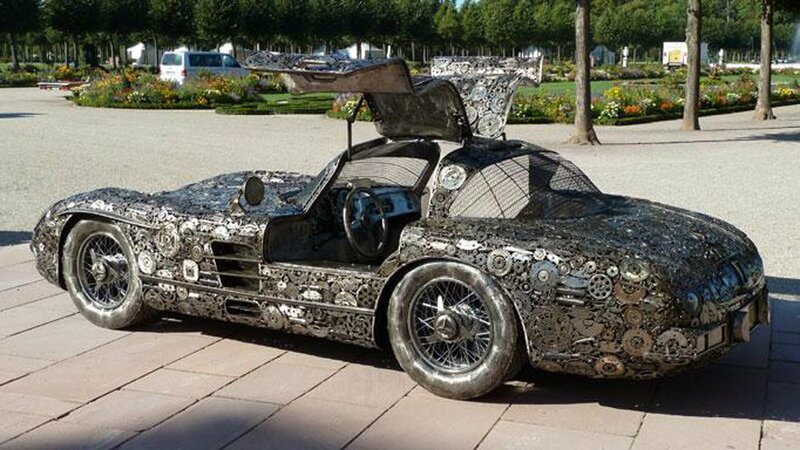 Three German friends and obvious artists, Armin Ciesielski, Peter Brakel and Walter Willer, created a replica out of 10,000 pieces of scrap metal. The seven-long project weighs about 1,000kg. This Gullwing was created by a German craftsman and it went for $7,800 on eBay. 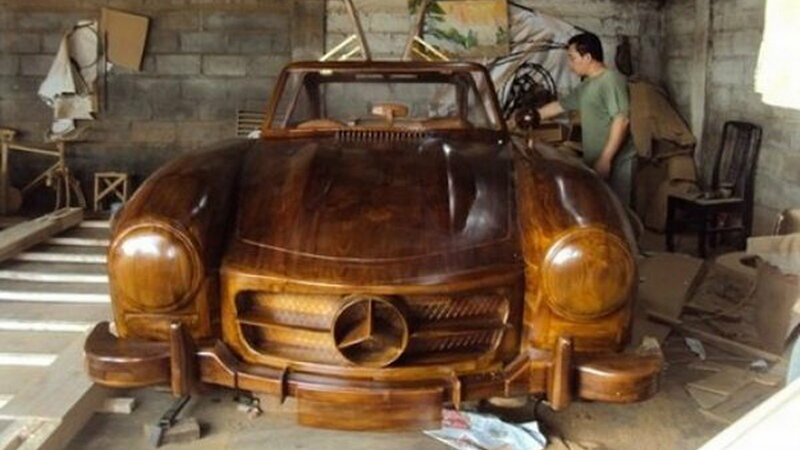 And while it won't run, because it is made out of wood, the doors will open and the front wheels will steer. You can even sit (and make out) on it, making it art worth owning. Just when you thought gold was for jewelry, now we have anything in white gold to rose gold. 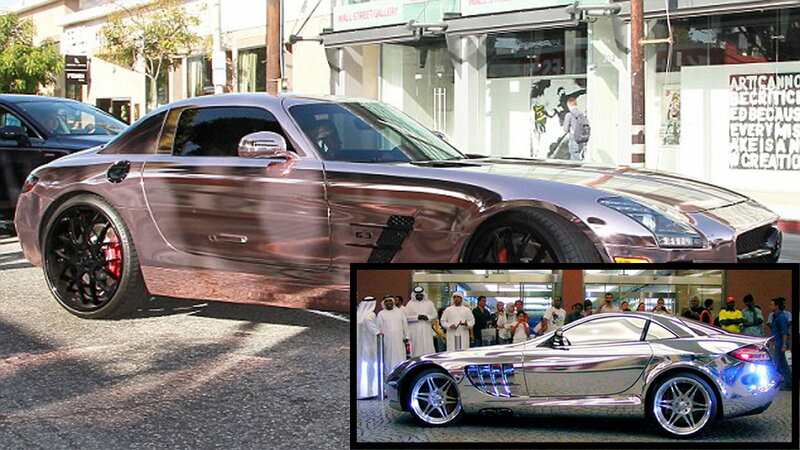 The white gold alloy sheet metal is owned by a billionaire in Abu Dhabi and it costs $2.5 million. The rose gold plated, on the other hand, belongs to none other than the American rapper Tyga.